In doing so, the ADPSR has called for those within the industry to submit protest bids to the federal bidding portal, and gear up for legal challenges to the bidding process. Protests will be published online to demonstrate that the profession, in its view, does “not accept the basic premises” of the CBP’s RFP. Adding submissions to the federal portal will place your protest on the record, the group said. Our professions are committed to protecting public health, safety, and welfare, so we are fundamentally at odds with any project that intends to divide, demean, and injure people on both sides of the U.S.-Mexico border. This project will undermine peaceful international relations between the U.S. and Mexico, and demonstrate a profound mistrust and aversion towards the rest of the world. Professional design practice and human relations are increasingly global. As decent national and world citizens, American designers and contractors must not participate in an ill-conceived and hostile gesture towards the rest of the world. We must also take stock of the frequent deaths of would-be migrants in the deserts of the border area. This proposed wall, by making the border even more inaccessible, will increase the number of deaths: an outcome that is completely unacceptable and flies in the face of professional ethics and human rights. Designers can not ethically undertake projects that will kill people or cause harm. This project is completely unnecessary and hugely wasteful. 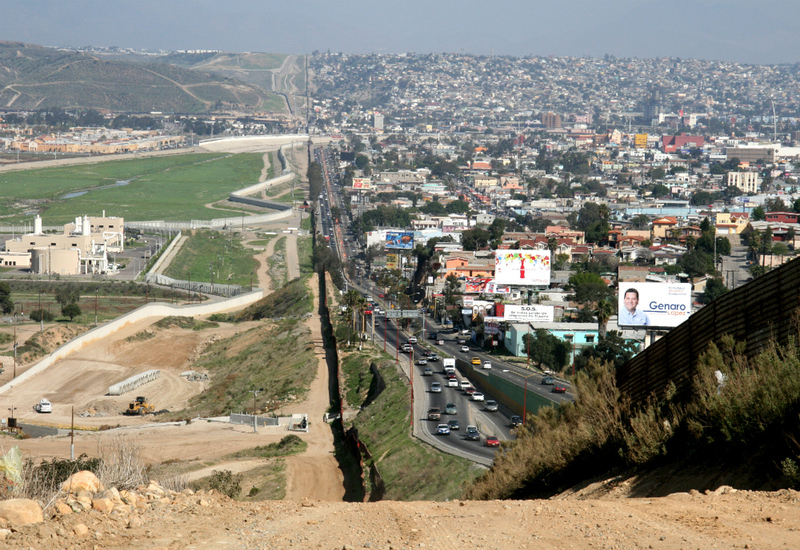 We must not be scared by the rhetoric of a “lawless” border; in fact, through many successful projects such as Land Ports of Entry, designers and builders have made the U.S. border more welcoming, efficient, and well-controlled. The idea that people from Mexico and Central America crossing remote borders on foot pose a significant public safety threat or are stealing jobs is not supported by evidence.. Participation in the border wall project indicates acceptance of a worldview that smacks of ignorance and racism. We will do not collaborate with hate, racism, fear, or/and violence. We demand investment for the public good! For those who need help submitting a protest border wall, the ADPSR invites interested parties to send proposals to be submitted via the organization. Files should be .PDF documents and addressed to: borderwall (at) adpsr (dot) org. The group asks to be CC’d on all submissions. Take time to review the insanely short proposed schedule and identify how this might obstruct a realistic bid that you as a designer might want to submit. Consider submitting a bid to hold a place for this future protest. Review the forthcoming RFP for inaccuracies, biased statements, or anti-competitive features and share these with us at borderwall (at) adpsr (dot) org. We will do our best to raise legal challenges as the process proceeds. Submissions to the federal bidding portal are due March 31.